Now dog owners can train and contain their dogs with the D.E. Systems Border Patrol TC1. It is completely portable and easy to set up anywhere with a GPS signal. This enables the unit to be used at home and taken to the field and on family trips to provide an easy to use GPS Dog Fence containment area for dogs that weigh over 35 pounds. The containment area can have a radius of 15 yards to 800 yards from the GPS Dog Fence Center and can consist of a Safe Zone, Warning Zone, and Stimulation Zone. Warning Zone notifications include Vibration only, Audible Beep only, Vibration with delayed stimulation (V+S), or Audible Beep with delayed stimulation (B+S). Fifty levels of intensity are available in the Stimulation Zone. Different levels of stimulation and vibration and audible beeps can be used to keep your dog within the different boundary zones. In the e-Fence mode, FenceView Tracking capability (up to 2 miles line-of-sight) gives direction and distance of your dog from the Fence Center and updates the status of the Collar Unit (Warning, Stimulation, Out of Boundary, etc.). If your dog ever leaves the containment area, the exclusive Welcome Home feature allows your dog to return to the Safe Zone without being corrected. Once the e-Fence is activated, the Handheld Unit does not need to be ON for the e-Fence to operate. The Border Patrol TC1 can also store up to 5 Waypoints including the automatically saved Fence Center. In addition, the Border Patrol TC1 is a fully functional remote training system. 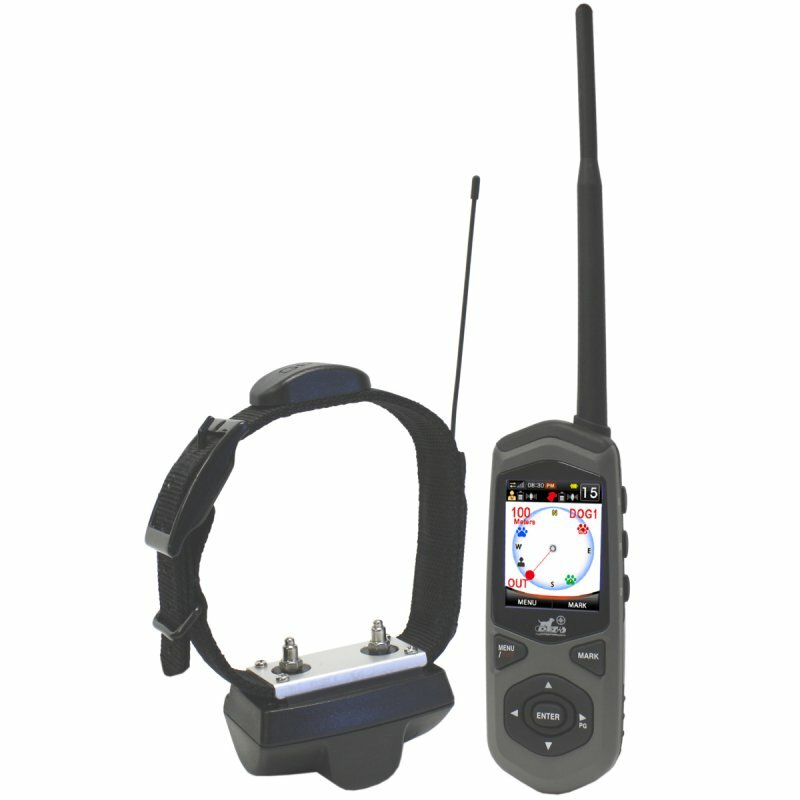 This GPS Dog Fence System has a 2 mile range (line of sight) and 50 intensity levels of Momentary" "Nick"" and Continuous Stimulation. Jump Stimulation, Rise Stimulation, and Vibration are also available at your fingertips. The Border Patrol TC1 is a fully rechargeable system (Li-Ion batteries). The Collar Unit is waterproof and the Handheld Unit is water-resistant. This system is expandable to a 5-dog unit with TC1 Add-On units (sold separately). Warning Zone Notifications: Vibration only, Audible Beep only, V+S or B+S (Vibration or Beep with delayed stimulation). 50 levels of stimulation in Stimulation Zone. Track location up to 2 miles (line of sight). Read status of collar: battery life, out of fence area, etc. 50 intensity levels of "Nick" and Continuous Stimulation. Vibration, Jump Stimulation, Rise Stimulation. Training range of up to 2 miles (line of sight). Mark up to 4 Waypoints. Center of Fence automatically saved while active. Rechargeable (Li-Ion), Water-Resistant Handheld Unit. Rechargeable (Li-Ion), Waterproof Collar Unit. High Resolution 2.4" TFT Color LCD. 1 handheld unit with antenna.